A new study from Robb Willer, UC Berkeley social psychologist, that's slated for publication in the January issue of the journal Psychological Science, shows that the majority of people tune out or become skeptical when faced with dire or emotionally charged warnings about the consequences of global warming. Individuals are less amenable to reducing their carbon footprint when the impacts of global warming are cast in "scary messages," according to a release from the University of California, Berkeley. "The scarier the message, the more people who are committed to viewing the world as fundamentally stable and fair are motivated to deny it," said Matthew Feinberg, a doctoral student in psychology and coauthor of the study. However, the researchers found that if scientists and advocates can communicate their findings in less apocalyptic ways and present solutions to global warming, most people can get past their skepticism. 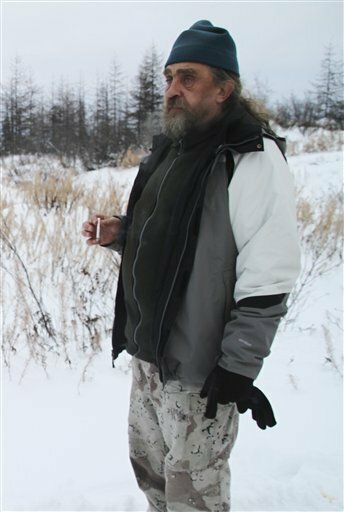 The Associated Press reports on Sergey Zimov, a Russian scientist who, like the University of Alaska's Katey Walter, studies methane locked inside Siberia's permafrost. The article opens with Zimov as he "shuffles across the frozen lake, scuffing aside ankle-deep snow until he finds a cluster of bubbles trapped under the ice. With a cigarette lighter in one hand and a knife in the other, he lances the ice like a blister. Methane whooshes out and bursts into a thin blue flame." An article published in the October 2010 issue of the Journal of Geophysical Research presents data that correlate even moderate increases in warm-season temperatures on Alaska's North Slope with the increased likelihood of catastrophic conflagrations. The study's lead author, Feng Sheng Hu of the University of Illinois, sought to understand if dramatic fires like the Anaktuvuk, which burned 1,000 square kilometers of tundra on Alaska's North Slope (doubling the area burned in that region since record keeping began in 1950) are anomalies or a regular occurance. After analyzing sediment cores from the burned area for charcoal to assess the ages of the sediment layers, Hu and his team found no evidence of a fire of similar scale and intensity in sediments representing roughly 5,000 years at that locale. So the researchers studied 60 years of fire, temperature and precipitation records from the Alaskan tundra to determine whether specific climate conditions prevailed in years with significant tundra fires. 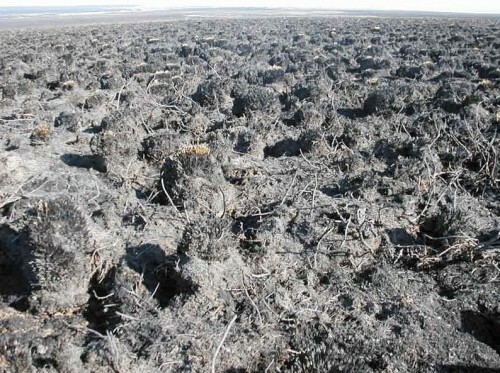 They discovered a "dramatic, nonlinear relationship between climate conditions and tundra fires, and what one may call a tipping point," Hu said in a press release from the University of Illinois. For the past 60 years, annual mean temperatures during this warm season have fluctuated between about 6 and 9 degrees Celsius (42.8 to 48.2 degrees Fahrenheit), with temperatures trending upward since 1995. In 2007, the year of the historic fire, the mean temperature was a record 11.1 degrees Celsius, while precipitation and soil moisture dipped to an all-time low. The study team also included researchers from the University of Alaska Fairbanks, Neptune and Company, and the University of Washington. The National Science Foundation provided grant funds for Hu's research; CH2M HILL Polar Services (in which PFS is a partner) supported the field work.